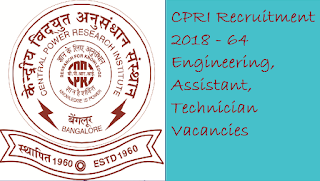 Central Power Research Institute CPRI Recruitment invites online applications from the interested and eligible aspirants for filling up of a vacancy in the post of Engineering Officer, Engineering Assistant, Technician, Junior Hindi Translator, Assistant and Multi Tasking Staff (MTS). 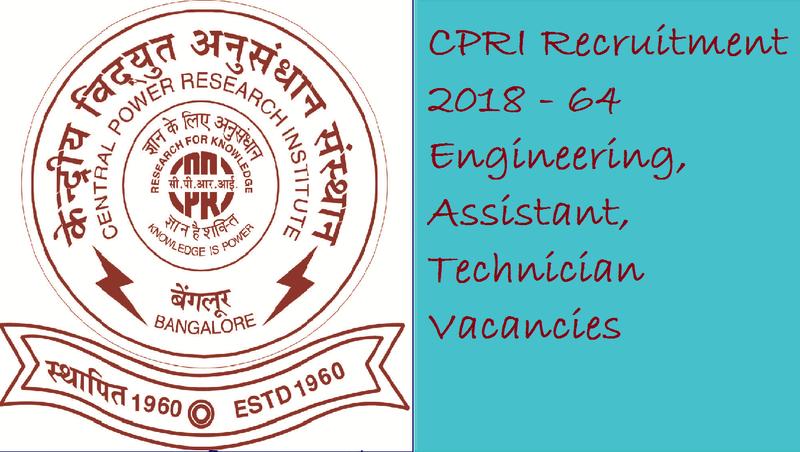 CPRI has released the notification for the recruitment of various posts in the CPRI. The total number of vacancies are 64 posts. Eligible candidates can apply for the post from the date of publication of notification and the last date to submit online application is 29 October 2018. To know more about the notification of the CPRI Recruitment check the detailed information given below. Click here for the new recruitment notification.